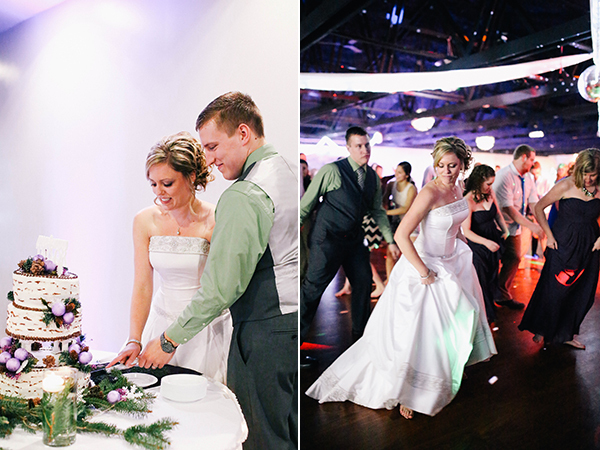 I shot my first wedding on December 28, 2013. Luckily it was my sister-in-law’s wedding so I felt a bit more at ease. I was there for all the planning, I knew the landscape + felt comfortable with everyone in attendance. It was a great first and since then I’ve shot another and booked 3 more! I’ve received about 4 other inquires too so now I just have to accept the fact that I’ll be a wedding photographer this year! I actually have really enjoyed it so far. It’s a burst of intense shooting for 9-10 hours and yet it’s really fulfilling because it’s a continuous sequence. I’m painting a story and I’m excited to get better at it as the year progresses. Maybe I’ll even get to travel + shoot a wedding! What have I learned so far? 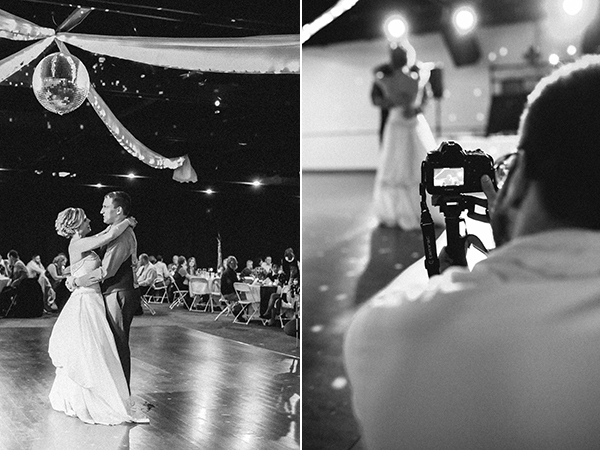 Not every wedding is going to photograph as easy as the ones on Pinterest do (I mean, obviously). 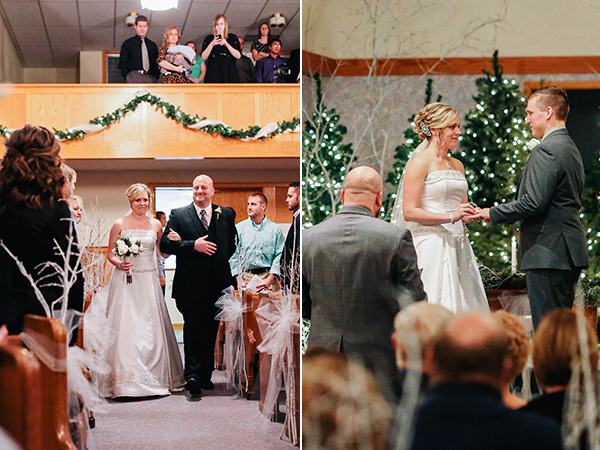 I realized quickly that being in the Midbest will only allow me a few 100% outdoor weddings. In the winter it’s freezing cold (hence, all indoor) and in the summer it’s sweltering hot (also mostly indoor). I’d spent so much time looking at other photographers’ outdoor work that I forgot that I’d be facing much different challenges. Any seasoned wedding photographers out there? Any advice? Or any amazing (or horror) stories about your own wedding photographer? I’d love to hear any tips or things you loved! We’re onto our 2nd wedding season at the moment (we shot 1 wedding when we first launched in the middle of summer so we don’t count that one, then we shot 15 weddings the next season and this season (in the midst of it now) we have 25 I think). I definitely went from considering myself a graphic designer, to now saying I’m a fully fledged photographer first. It’s so crazy! The pros and cons of indoor vs outdoor are so annoying. I always hope for all outdoor but with overcast weather with no rain. Hahaha. It’s not often it happens but when it does, it’s the best. I used to shoot weddings with my Dad when I was in high-school/early college (videography though, not photography) — so fun, but you’re right it’s an intense day! This is me officially “reserving” you for our vow renewal in 3 years — haha! Also, when it’s not so cold that my fingers fall off when we go outside, let’s grab that coffee. I’m dying to try out the Grandview Grind or Mission. Yay for vow renewal! How many years will it be? And yes once it’s not SO COLD let’s get coffee! Mission is delicious but I love being able to walk to GG! It really was!! I was using the Canon 5D Mark III and all prime lenses (35mm 1.4, 85mm 1.2 and the 50mm 1.4! No advice but many congratulations. They turned out beautifully, especially the one with them off-set in the left corner. So beautiful! Wedding photography? How exciting! The photos look great. Thanks Emily! 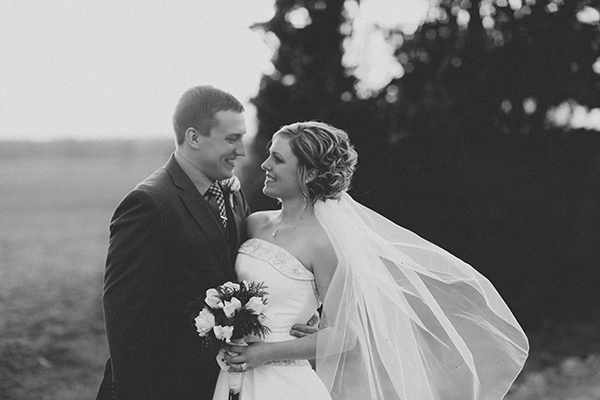 I love hearing why people loved their wedding photographer. I’m slowly getting better at posing. Usually I see it in my head but it’s so hard to communicate it well to the couple! Congratulations! That’s so exciting to get to branch out into another creative pursuit. And I love seeing your list of goals for ways to improve this new skill — my goals tend to be a bit more nebulous and I may borrow this idea to start creating more concrete steps to take. It is fun to realize it’s evolving as it happens! Setting goals publicly always helps too. I feel like the online community is always quick to help or offer suggestions too. Wow wow. Congratulations! These photos are stunning, what a beautiful couple. 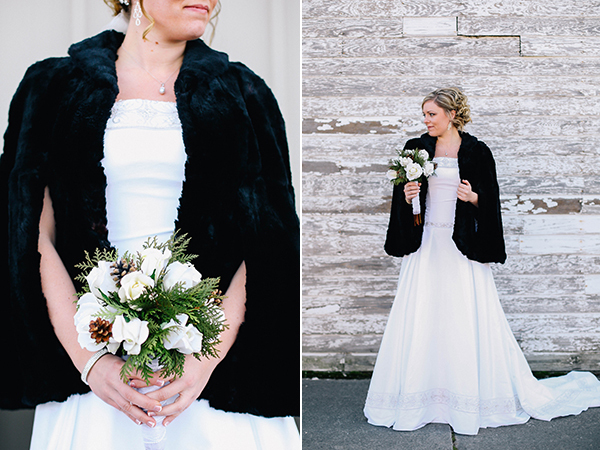 Love the fur! 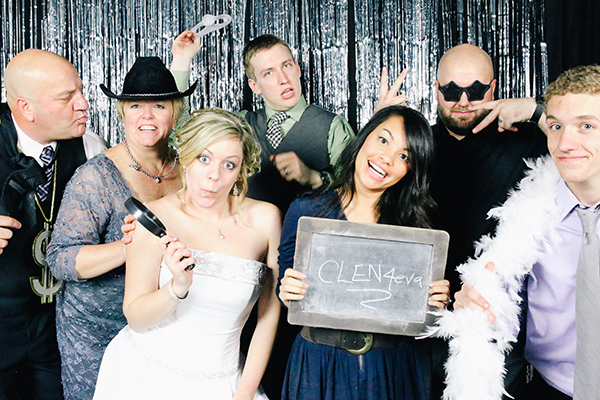 Such a classy wedding. Perfection. Yes the fur was perfect! It was my husband’s great grandma’s!! They seem like they might fit your cute-but-comfortable needs! I HAVE found that wedges are much more doable. I had a pair that I thought of wearing to the wedding last weekend but was still afraid they’d hurt so badly. I’m going to check out this pair now! I’d like to suggest Naturalizer for comfortable shoes! They aren’t the most trend-forward brand in the world, but they have EXTREMELY comfortable, wear-all-day shoes. I own 2-pairs of boots, and 3 pairs of heels from them and they are all very durable. Thanks Kathryn! Checking them out NOW! Allie! These are so impressive. I definitely don’t understand as much of the technical side (and am terrified of shooting indoors) but it seems like you are on the right track. You have such a great eye for framing compositions. My next “vision” is some sort of sparkly flat. I’m still on the lookout for those, though. Thank you Grace! You are too sweet. I’m checking out Clarks now. I agree- I’d love a slight heel (better for shooting) but boy when my feet ache, I am a baby haha. Totally admire you for taking this on! 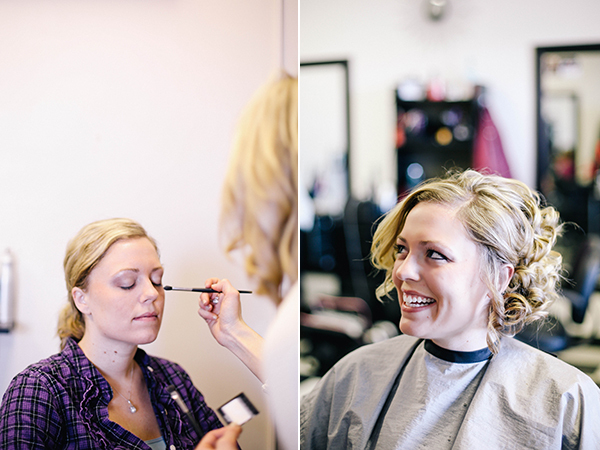 Wedding photography terrifies me. Just learning how to work with brides, grooms and their moms on wedding invitations was quite a process. These are lovely! I’m so impressed – Get it, girl. And I loved your note about learning workflow, etc. Though I don’t take photographs professionally, I would love to learn how photographers do their editing/workflow. I hope you get to take the class! Thanks Jess!! I’ll be sure to share what I learn. The whole process fascinates me! 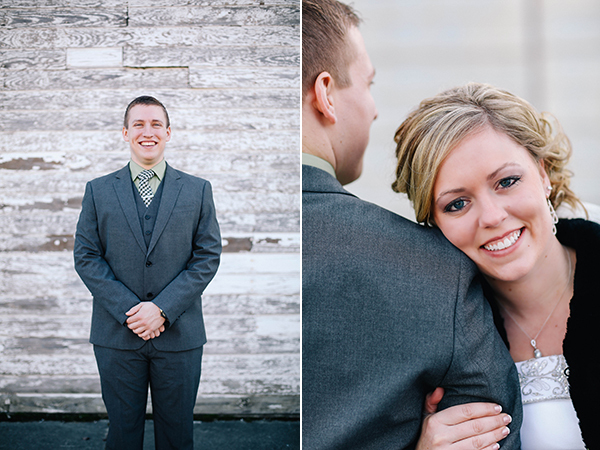 Hard to believe this was your first wedding shoot! Such beautiful photos, Allie! Thanks PJ! I’m excited to share last weekend’s wedding next month too! I never would have guessed this was your first wedding. You did an amazing job! I have always admired your photography and I look forward to seeing you learn and grow this year! Yeah flats seemed to work for me last weekend but I was so cold (it was like 1 degree F) so I also wished I had fancier boots. I have noticed how hot I get so I don’t dress heavy at all. Your photographs are beautiful! Erin Hanson might be a great person for you to connect with. 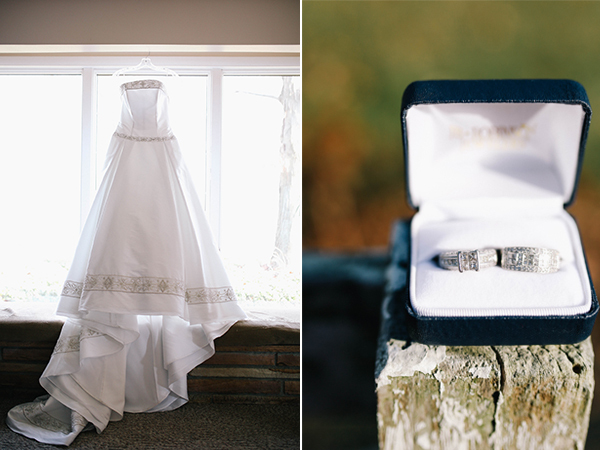 She takes some beautiful engagement and wedding shots and has a similar style. She lives in Wisconsin, I know her brother and have met her a couple times. I’m sure she would be happy to offer advice! These pictures are GREAT!! Way better than my first wedding- I wouldn’t even want to revisit mine- ha!! – so excited to see more from this new adventure! Ps- I still haven’t found the perfect shoe other than toms with a shoe insert- shows off personality but isn’t really dressy. I’m a baby with my feet too. Thanks Cece!!! I’m excited to shoot with you more this year if you’ll have me (aw so romantic). Toms are super comfy but yeah not super dressy. Although do people even care or notice what the photographer is wearing?